I had to put on my glasses for this junk. 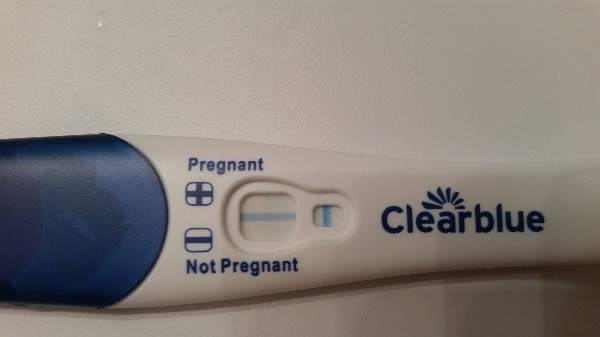 I honestly can't tell if I'm seeing a faint line, or if my mind is playing tricks on me. Will test again tomorrow. Better picture, because my shadow got in the way. I can't tell. I'm fairly sure I can see the faintest blue hue. @Trying4number2: Appreciate it. I know I might be grasping at straws. And I can't get a good picture of this thing, gah. AF in 3 days. I'll take another snap tomorrow. Or later today. I keep thinking I must be seeing things. But I stored it in a plastic baggie, looked at it when I was more awake, and there is definitely something there. Hopefully tomorrow yields better results. Thanks for the follow. I haven't had any "regular" symptoms, but the kneading in my abdomen is still going. Subtly, but there. @Trying4Number2, No apologies necessary! I'm still questioning the validity of my sanity xD. @Brookes, thank you! That's exactly how mine looked to me and hubby, but every time I tried to get a picture, it wouldn't focus or my shadow would get in the way. I ran out of ClearBlue, and Walmart was out. Wound up using their offbrand First Response which was crap, the control window didn't even fill. Tried EPT, but at -2days to AF it's only 84% accuratr. 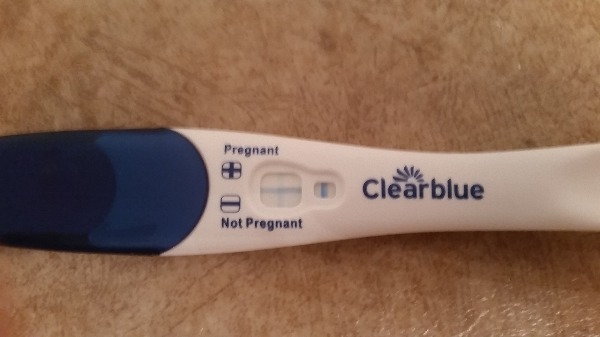 Fairly certain I can see a faint line, but might be going insane. I have one more EPT, and the digital tests left. 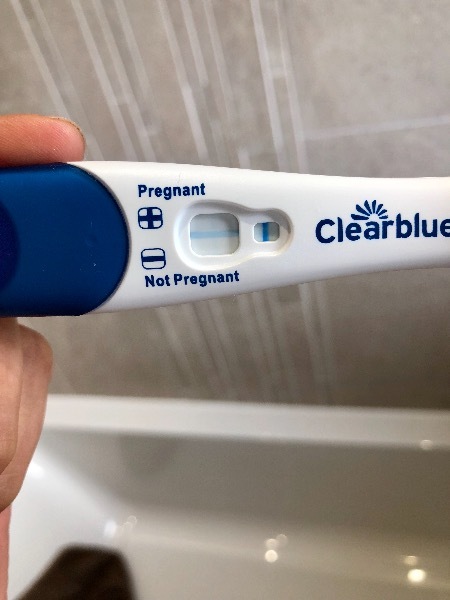 I'm going to try and hold off until 13dpo, as that is when AF is due. I bought another VlearBlye, might as well test with the original one, right? 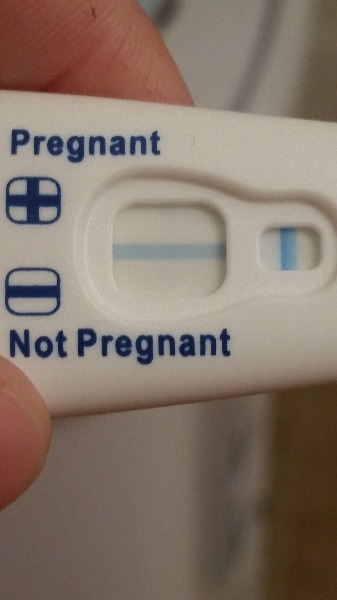 12 dpo. 1 day to AF.